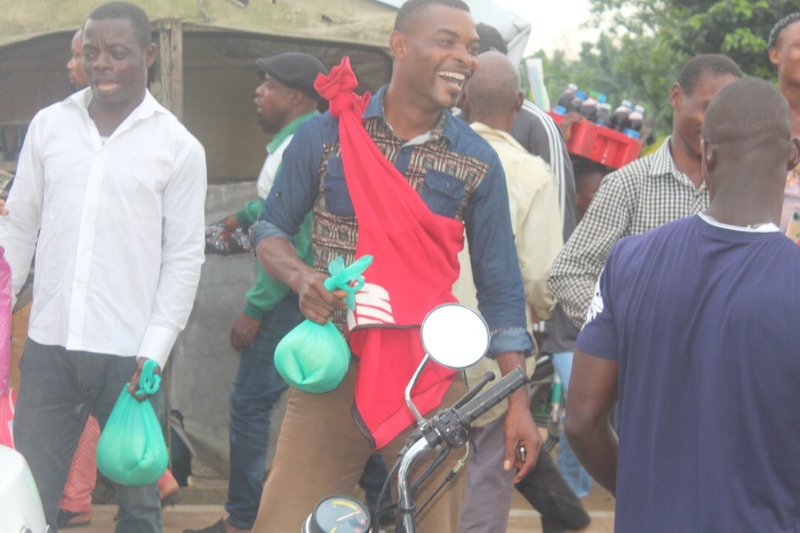 The people of Nung Udoe in Ibesikpo Asutan Local Government Area of Akwa Ibom State were thrown into a festive mood, Friday as the Divine Mandate Community Service train visited. 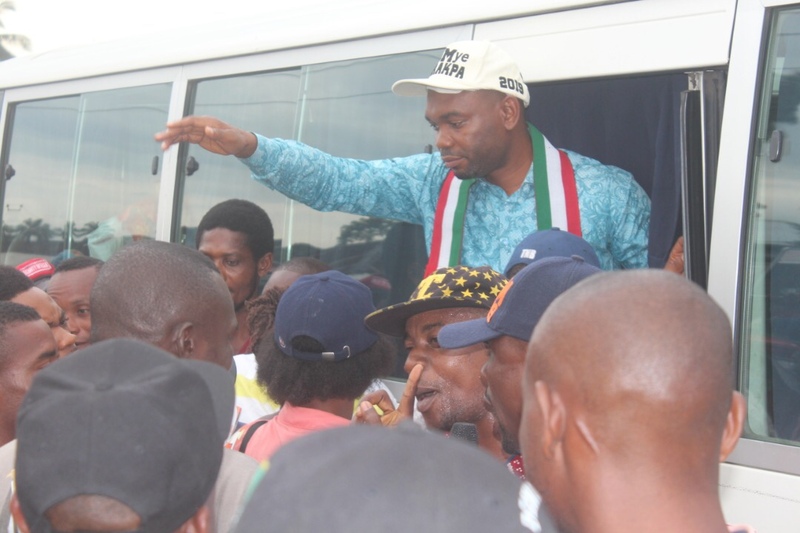 The overwhelmed crowd happily received the Governor’s delegation who assured them that the Mr. Emmanuel was committed to constant peace and prosperity in the state. The Governor, through his personal aides, Mr Essien Ndueso, Solomon Eyo, Joseph Okon and Ndifreke Archibong, also shared some food items, in line with the food sufficiency of the state chief executive. Words of gratitude were poured on the Governor for his superlative leadership quality and ability to manage the meagre resources turning the state to an industrial hub, thereby becoming a destination for investors. A community leader Pastor Daniel Eyo and other young people in the community thanked the Governor for his commitment to making the state safe for indigenes which has ranked Akwa Ibom the safest state in Nigeria. They passed their vote of confidence on Governor Emmanuel and pledged to vote and return him to the Hilltop Mansion come 2019. The visit to Ibesikpo Asutan is coming on the heels of a visit last week to Abak by the community service initiative of the Governor. The community service initiative commenced in 2015, and has always made impromptu stopovers at various community centers to preach peace and love among the people.